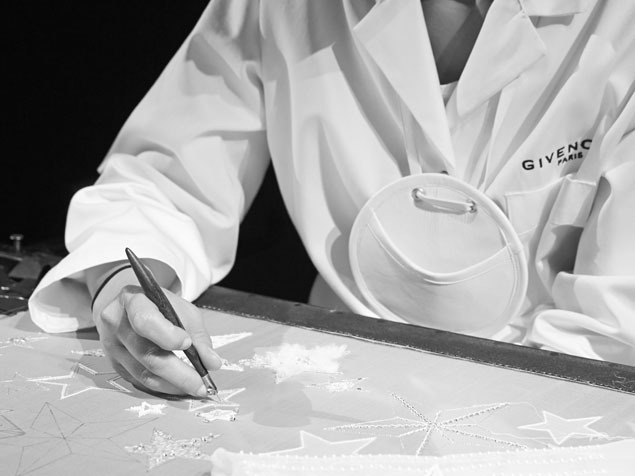 In 1959, Hubert de Givenchy moved his couture house and ateliers to the former Hôtel de Caraman. 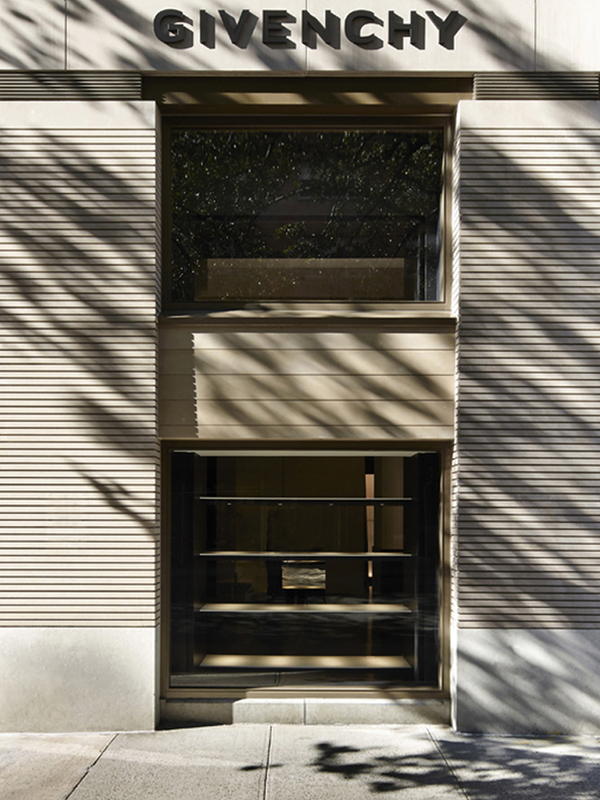 Located at number 3 Avenue George V in Paris’s 8th arrondissement, this private townhouse was originally built in 1898 for the French aristocrat and politician Maurice de Riquet, the Count and, later, Duke of Caraman. Architect Louis Parent designed a prestigious and refined building in the image of its contemporaries on the avenue. In the 20th century, this neighborhood would become the epicenter of Parisian fashion and couture. The two uppermost floors were added in 1961. The Hôtel de Caraman’s grand staircase, with its elaborate wrought iron bannister, led to the Couture salons, the scene of many fashion shows and the reception area for clients, celebrities and visitors to this day. Over the years, this space has seen a number of modifications, including the transformation of the ground floor façade into display windows. Inside, vestiges of the aristocratic décor from the original 19th century townhouse are preserved in a discreet, contemporary setting. 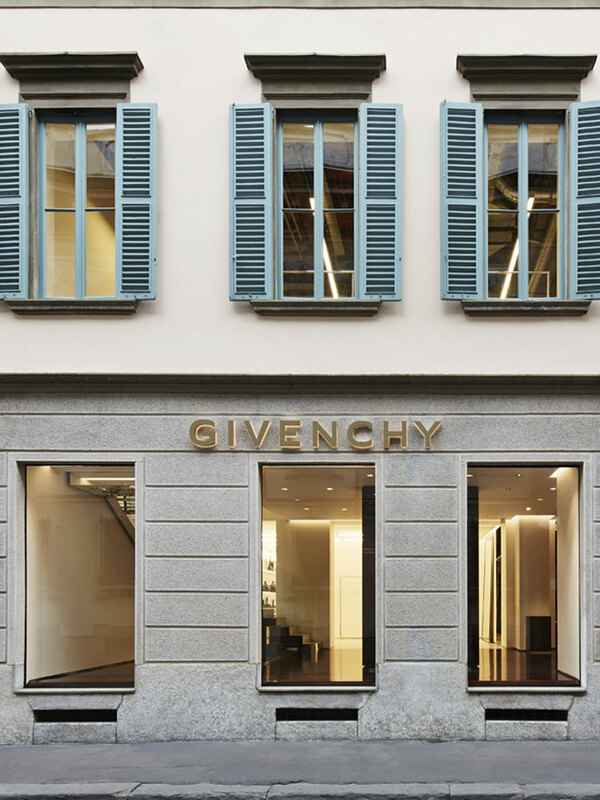 In 1959, the ground floor welcomed the first Givenchy boutique in Paris. In 1969, a menswear department was integrated into the store. 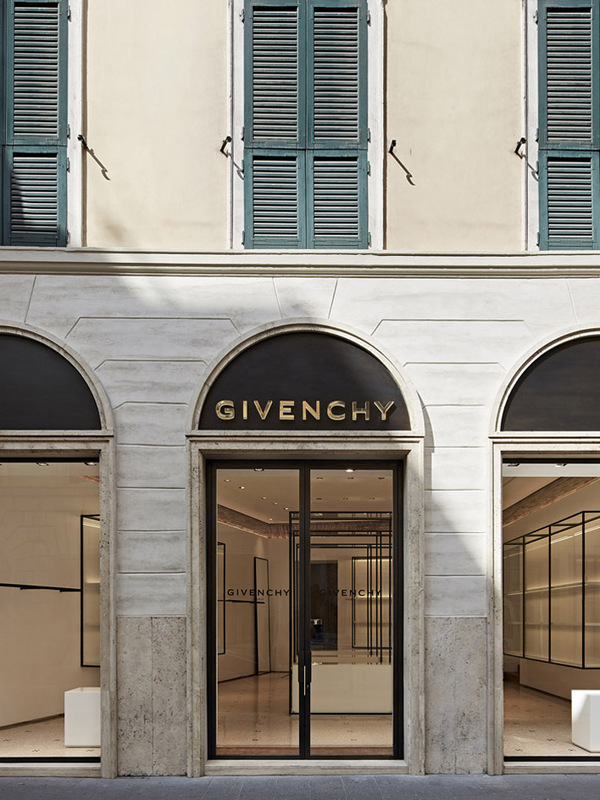 Since 2017, a museum display has been installed at the foot of the main staircase, visible from the street, making it possible to admire some of the House’s most iconic creations, and therefore dive into the world of Givenchy.